And so my bunch of friends got me a new oven for my birthday present. 48L convectional oven, 4 settings from broiling, baking, roasting to grilling. Which means more new recipes I can play with using the oven! 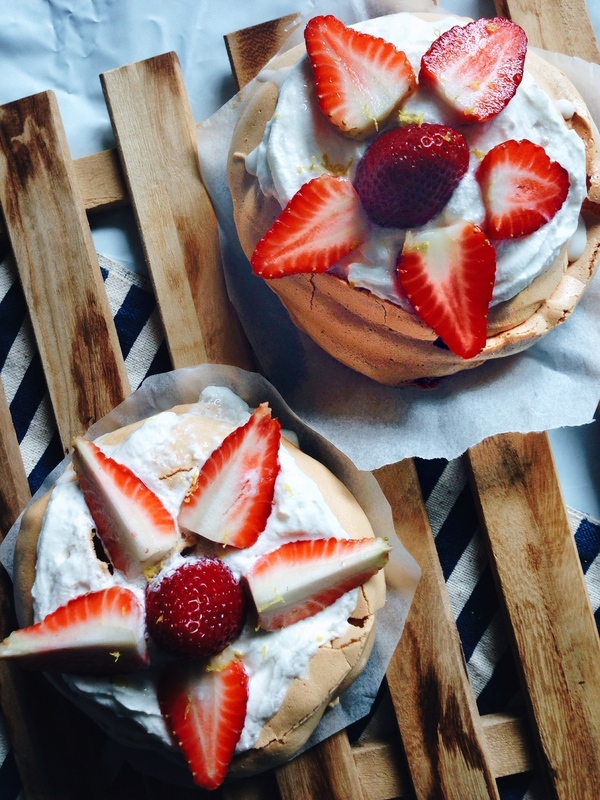 For my first bake, I decided to make pavlova. One of the more easy baking recipes to start out with. Perfect dessert for gatherings! Usually goes well with fruitsand whipped cream. There are other variations you can try with, like chocolate sauce, or even cream cheese as the filling. You can do that by making a small well in the center of the meringue before baking, fill the well with the sauce after baking and top whipped cream and fruits. In this recipe, I didn't whipped my own cream, I bought instant whipped cream to save the hassle. For best results, please do whipped the cream yourself as instant whipped cream may turn watery after exposing to air for too long. After which start adding the sugar mixture in 3 separate batches while continue whisking. After the second batch of sugar mixture are in, add in the vinegar and essence. As you whisk, it should start turning shiny until it reaches close to stiff peak and folds into ribbons easily while still holding its shape. Carefully transfer the whipped meringue on the baking sheet on the tray into circular shape(desired size). 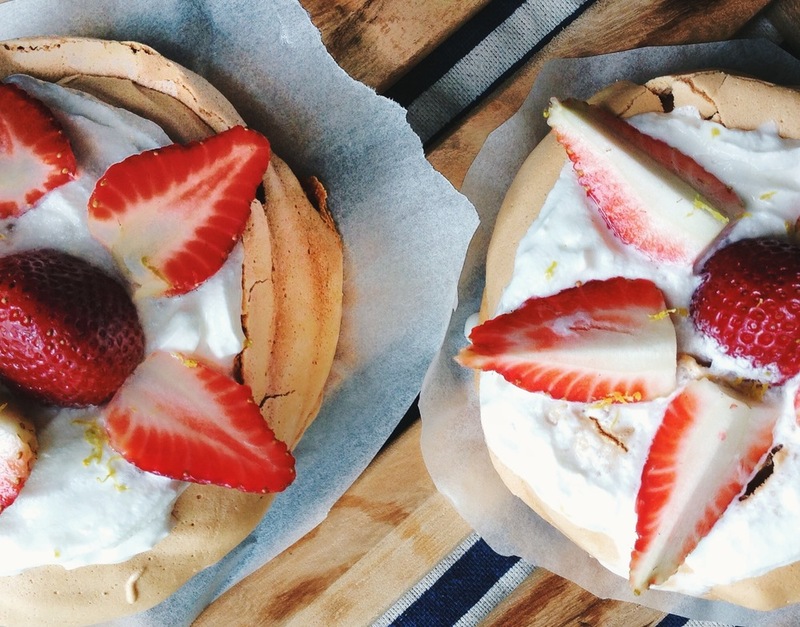 You can either bake the pavlova like a huge slab of cake or you can do it into 3 - 4 mini slabs. Make sure its at least 1 1/2 inches- 2 inches thick, so that the interior texture will be fluffy because of its thickness. Bake on 120 degrees celcius for an hour. The outer should be hard crisp light beige in color. Let rest for 5-10 minutesbefore adding the toppings. Topped with whipped cream and strawberries! you are done! Light, fluffy marshmallow like texture on the inside. Crispy outer topped with cream and strawberries. Perfect fit for a gathering! Amaze your friends and families by adding your own variations with this recipe!